At Rainbow Child Development Center, we believe each child is a unique individual who deserves the best. We are committed to providing a quality child care program in a safe, warm and loving environment where a child’s individuality can flourish. With guidance from qualified teachers, a child will learn acceptable social behavior through use of behavior modification and positive reinforcement. The child will be encouraged to develop a positive sense of self and have many happy experiences. 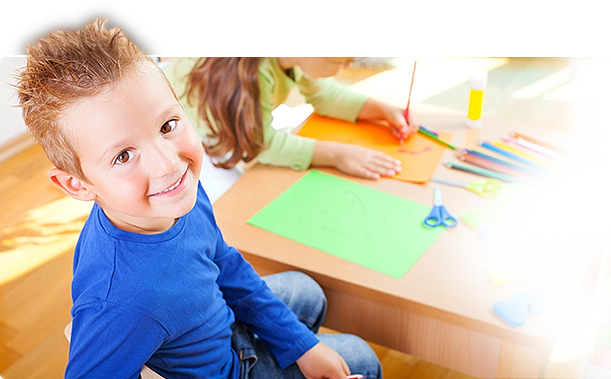 Rainbow Child Development Center offers a Full Day Learning Program for children ages 6 weeks to 5 years, a Full Day Kindergarten Program as well as Before and After Care Program to children in grades K-6. Our Before and After Care Programs include transportation to and from the local elementary schools. Rainbow also offers a Summer Camp Program for children 5-12 years of age. We also feature a Foreign Language Program, Sports Program, and Dance Program held in our Indoor Gym. Rainbow Child Development Center is conveniently located at 14311 Braddock Road in Centreville, Virginia. The center is easily accessed from I-66 and Route 28.